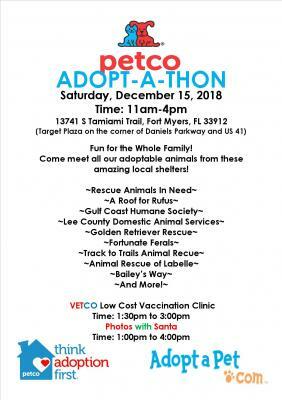 WE WILL BE AT PETCO OFF DANIELS PKWAY IN FT MYERS SAT 12/15/2018 FROM 11 -4 PM We plan on being at the Petco in Ft Myers on Daniels and 41 on Saturday 12/15 from 11am to 4 pm doing meet and greet and dog visits with a few adoptable dogs. We plan on having Budapest Jack and Borsik there to meet prospective adopters. 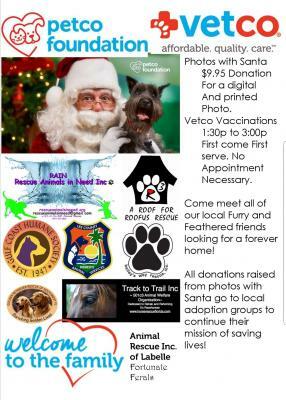 Admission is free and it will be a fun event with lots of rescues and shelters there as well as Santa!